This 3-day Development Camp will help adult athletes with intellectual disabilities to increase their individual rowing technique; build rowing confidence; provide opportunities to row in a team boat; and learn the skills of competitive racing. The purpose of this Development Camp is to identify and select athletes with intellectual disabilities for the USA National Adaptive Rowing Team. Camp Fee is $150.00 per athlete for the 3-day Camp including intensive coaching & off-water activities. Host families will be available for housing for each athlete and their coach/mentor/chaperone (1 person max) during the Camp. No charge for chaperone to accompany athletes to attend this Camp. Chaperones will have opportunities to kayak/canoe while at the Development Camp & chaperones will be invited to attend some off-water Camp activities. **Athletes & chaperones attending this Camp will be responsible for their travel and meals. The Camp will be held on Friday, March 25, Saturday, March 26 and half-day on Sunday, March 27 in Austin, Texas on beautiful Lady Bird Lake at the Texas Rowing Center. 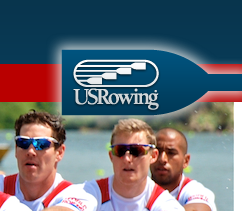 Karen Lewis, National Adaptive Team Coach & other certified USRowing coaching staff will be working closely with athletes who attend this Camp. Five (5) on-water rowing sessions are planned, supplemented with other off-water activities. Travel notes: Arrival afternoon or early evening on Thursday, March 24th and departure no earlier than 2pm on Sunday, March 27th. Evidence of fitness (submit current training + any competition results showing times and distances raced—any sport.